These were a hit with my lovely group of residents. We filled with artificial flowers, and placed on tables as a centerpiece. Thanks for the idea! A fun Springtime DIY craft, these cute teapots make great home décor. 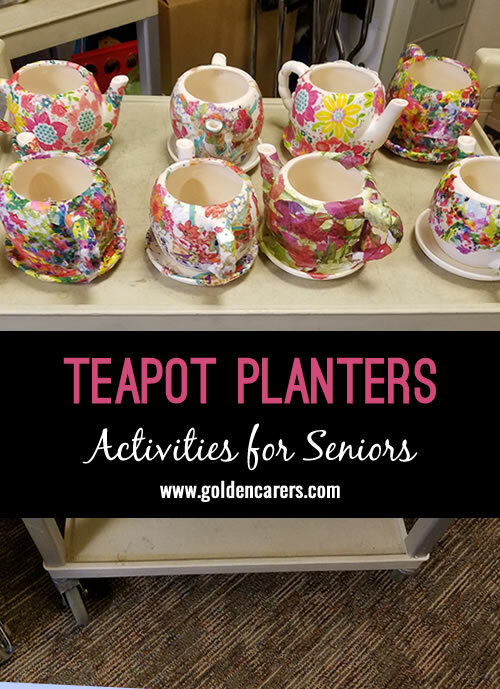 Decorate the teapot with your own paint and embellishments and plant your favorite flower, cactus or ivy! They're an adorable way to dress up your kitchen and make a cute tea party activity. Ceramic. 6 3/4" x 4"